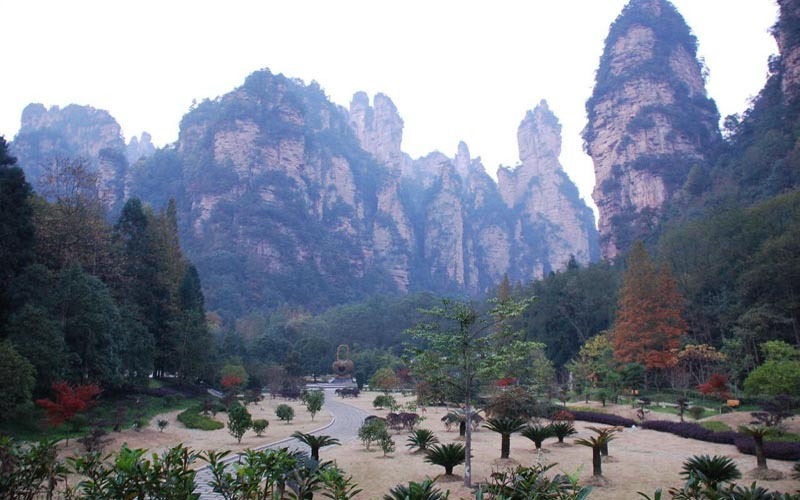 After arriving at Zhangjiajie, your local guide will meet you at the airport then accompany you take a driving to the hotel. Yellow Stone Village: after breakfast in the hotel, visit Yellow Stone Village. 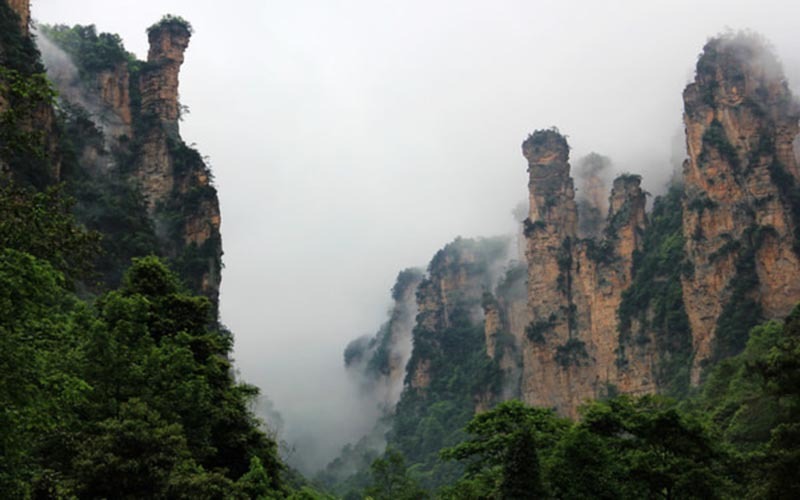 It lies to the west of Zhangjiajie Forest Park with an altitude of 1200m and covers an area of 250mu. You can enjoy the Six Stranges Pagoda, Picking Star Platform, Five Finger Peak, Lover peaks and so on when you are on the top of mountain. Golden Whip Stream: Located in Zhangjiajie National Forest Park, it covers a distance of 7.5 km from north to south, winding across mountains and valleys. The brook is limpid through the year, with many scenic spots along the way. At the same time you can have a free oxygen show when you are explore this beautiful valley. 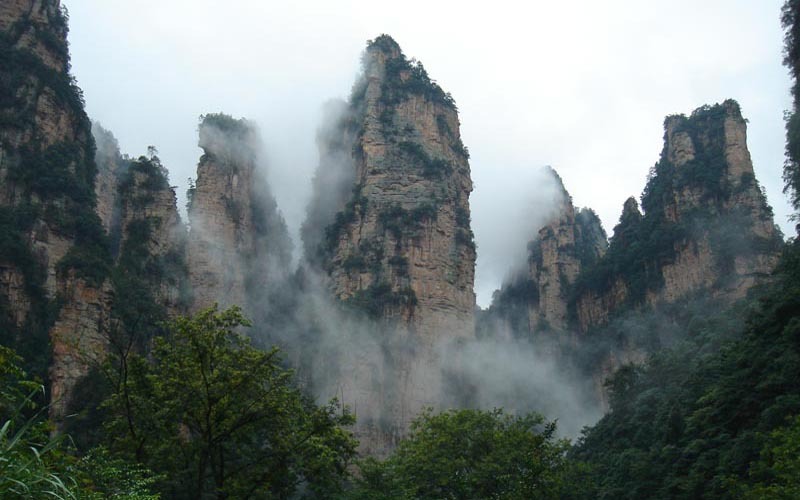 Yuanjiajie: This Mountain is also called AVATAR Floating Mountain for the movie AVATAR is shot here. Enjoy Hallelujah Mountain, NO.1 Bridge in the world and so on. 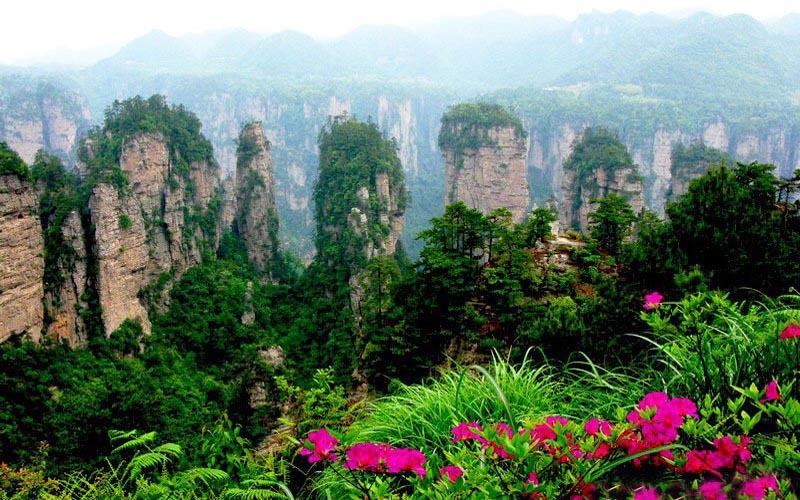 Tianzi Mountain: It is known for 4 natural spectacles - the clouds of mist that circle the peaks of the mountain, the amazing views of the rising sun, the moonlit nights and snowcapped winter peaks. After visit all the scenery spot, guide see you off in airport or bus or train station on the right time.